Try adding pastel colours to make your look pop! 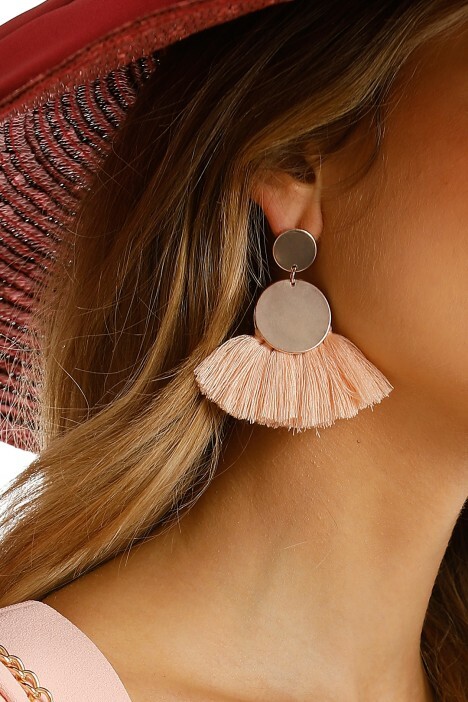 Crafted from a dreamy soft pink hue with silky cotton tassels, this flirty fun style is perfect for your next festival outing or night out dancing. Pair with a ruffled playsuit for a feminine approach to dressing or bodycon silhouette for a party-perfect outfit. Read our blog for more dress styles to match when dressing for a party occasion.